Firstly, the video clip is from a Top Of The Pop performance on Thursday 25th August 1988. This was the first hit single for the 80s boy band, Brother Beyond. It reached #2 in the UK and #1 in Ireland. The single was also a moderate hit across Europe and also reached #15 in New Zealand, although the Australians weren't so keen, where the single stalled at #78. Now, a pop act is always going to struggle without a decent producer, and the group's first four singles had failed to become major hits. It was the legendary(?) Stock, Aitken & Waterman who were responsible for bringing them pop stardom. The producers had auctioned their services at the Young Variety Club Of Great Britain, with EMI winning. Pete Waterman chose the quartet Brother Beyond to offer his production services to. 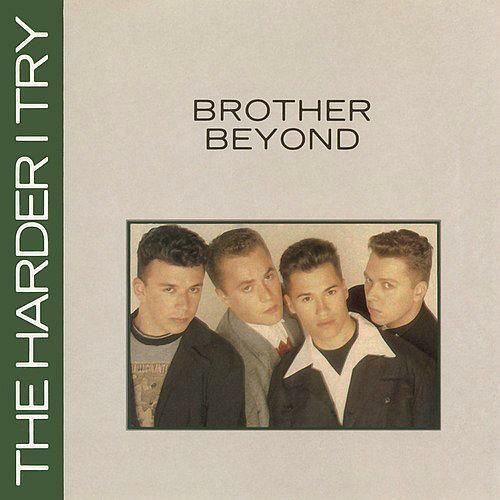 Released on 30th July 1988, "The Harder I Try" was influenced by Motown and sampled the drum intro from "This Old Heart Of Mine" by The Isley Brothers which was a #3 hit in the UK during 1968. S/A/W ensured that the song became an instant hit, reaching #2 for two weeks here in the British Isles. However, they couldn't beat the production skills of Coldcut, who ensured that Yazz and The Plastic Population's dance-pop cover of "The Only Way Is Up" by Otis Clay (originally released in 1980) claimed the top spot in the charts. In the second week, it was Phil Collins who denied the lads a No.1 with his cover of the sixties hit "A Groovy Kind Of Love". Nonetheless, after previously failing to make much of a dent in the charts, a No.2 hit must have been hugely satisfying for both group and EMI. Indeed, the label asked S/A/W to produce the next single, "He Ain't No Competition", ensuring another top ten hit. 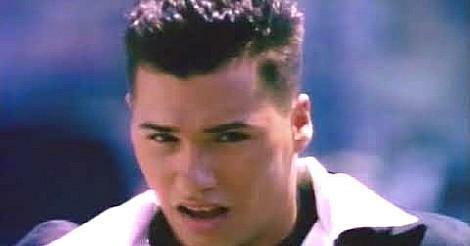 Both tracks featured on the group's debut album "Get Even" which reached #9 in the UK. The group's second and final studio album, "Trust", couldn't replicate this success, stalling at #60 during 1989. Success for the group was pretty short-lived, and by the end of 1989, they were struggling to break into the Top 40.